A date filled with loyalty and respect that is openly spoken of and expressed with ease and clarity, December 11th has a lesson to teach about relating with others. The important thing at this time is to set ego aside, learning to not take things personally and seeing all people as fragile and wounded. Interactions of those born at this time are to reach the point where troubles in relating to others come as a way of seeing their own inner wounds and processes. December 11th is a time of opportunity, but also a time when status might take over when creativity should lead the way, and a date of role play instead of honest living. People born on this date sometimes forget what truly inspires them, and their way of self-expression could lose some of its honesty in their attempts to be a part of the system or group of people they respect and value. Self-respect must be higher than respect for anyone else, and they are to learn that no change can be pushed on others. Circumstances in their lives will be bumpy on one side of the equation, and extremely fluent and supportive on the other. They need time to separate influences and choices that are truly good for them from those that are understood by their surroundings. "In an Old-Fashioned Northern Village Men Cut the Ice of a Frozen Pond for Use During the Summer"
"Pelicans Menaced by the Behavior and Refuse of Men Seek Areas for Bringing Up their Young"
There is a note of isolation to these two symbols, even though groups secluded and separated are there to show that solitude comes shared with one's social circle. Although these individuals obviously have an understanding surroundings that will support them to grow through solid and useful communication and intelligent interaction, they are to hold on to their individuality every step of the way. Fighting for the same cause with others, they might get lost in shared endeavors that bring them joy but don’t really fulfill their need for personal growth, and distance them from the rest of the world they also have to find a way to deal and communicate with. 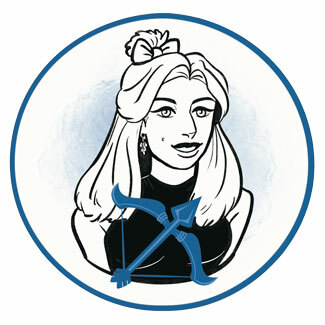 Honest expression is the basic striving in lives of Sagittarius representatives born on December 11th. They wish to speak their mind and show their true nature directly from the heart, freely and without holding back. Their throat chakra is to cleanse and they are to learn about the importance of their personal role in a group, so they can gather the right people around them instead of fitting in. They need creative self-expression and to be given enough freedom to shine in all their glory, following inner dialogues instead of communicating to those who don’t really understand their pursuits. Their tribe will only be supportive of them when they are in stable and constant touch with their authenticity. 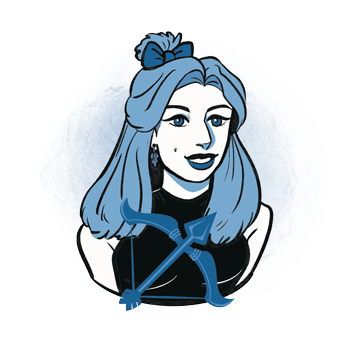 When it comes to feelings in lives of people born on December 11th, they are passionate and fiery as a true Sagittarius, but at the same time warm and cuddly when given the opportunity. They need a partner who will see their frailty behind the act, behind all masks they might put on to protect themselves, and someone to understand that they need protection and shared responsibilities even when they seem to handle life pretty well. Their natural optimism and strength of character might make them pushy and difficult, but they will give respect to their partner and enough personal space and freedom of different opinions in any relationship. Giving and warm, they get lost among too many beliefs in their own heart, governed by things that ran through generations of their ancestral line that they feel is time to change. On the other hand, they are seeking personal freedom at any cost. They are to separate their personal romantic world from their social life enough to keep them both pure, and even if they choose to spend their life with a good friend that turned into something more, they need clarity in context of friendships with other people and large groups they both belong to. A person born on the 11th of December excels in all activities that require organization and management, they will give perfect project guidelines and see things that are way ahead of their time. Positive and filled with creative energy, they see the bigger picture and work well in politics, law, and any form of therapy that requires connecting inner extremes and accepting all those things that are lost, shoved aside or thrown away. Used in small doses, zincite is a great and powerful stone for those born on December 11th, helping them manifest and create what their mind envisions. It energizes one's entire system and affects all chakras, extremely beneficial for people who spend too much time in their minds instead of working towards their desired goal. Connecting the mind with the world of real opportunities and their personal grounding, they find a place they are meant to stand in with more ease and guidance. This crystal should be used for short periods of time, on a regular basis. The choice of birthday gift for someone born on the 11th of December may be anything from jewelry, sparkling gadgets, to a branded piece of clothing they have been watching for a while. They are easy to please, for as long as they feel cherished and valued by your attempt to make them happy, and find joy in the smallest of gifts when their true nature is recognized. They will appreciate a book, but one about imagery, painting, photography, or travel rather than a giant novel that they don’t have time to commit to. Respectful of others and Self, understanding personal space and boundaries, they are good organizers, managers, and those who will honestly speak about their opinions, giving constructive and creative advice when needed. A bit lost in their desire to belong to a group of people, they could neglect the core of their personality to meet outer expectations, unaware of all those limiting beliefs they incorporated in their being instead of keeping them away. In 1931 Rajneesh (Chandra Mohan Jain) latterly known as Osho was born, an Indian educator and spiritual guru, known as the leader of the Rajneesh movement. He emphasized the importance of meditation, mindfulness, love, creativity, and humor, claiming that they are suppressed by static belief systems. In 1931 Rita Moreno was born, a Puerto Rican and American actress, dancer and singer, one of the few artists to have won an Oscar, an Emmy, a Grammy and a Tony Award. Apart from her numerous rewards for her talent, she has received the Presidential Medal of Freedom, the greatest civilian honor in the United States. In 1967 Mo'Nique (Monique Angela Hicks) was born, an American actress and comedian, who starred in Phat Girlz and Precious. After several failed romances, she married her best friend and stated that their marriage is one of honesty where cheating simply doesn’t happen since talking about relationships with other people openly – isn’t cheating. 1815 – A committee on finance and a uniform national currency is selected by the U. S. Senate, this later becoming the U. S. Senate Committee on Finance. 1934 – The co-founder of Alcoholics Anonymous, Bill Wilson (born on November 26th) takes his last drink. 1946 – Establishing of the United Nations International Children's Emergency Fund (UNICEF). 1962 – The last person is executed in Canada. 1964 – The speech of Che Guevara (born on June 14th) at the United Nations General Assembly in NYC. 1972 – The sixth and the last Apollo mission lands on the Moon.